Order without shipping costs and pay on account upon receipt! With the anufix spacers you can mount your sign quickly and easily. This saves time and money. 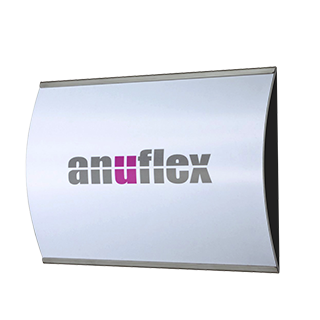 The elegant appearance of the anufix systems underlines the design of your signs. And all this at an outstanding low price. 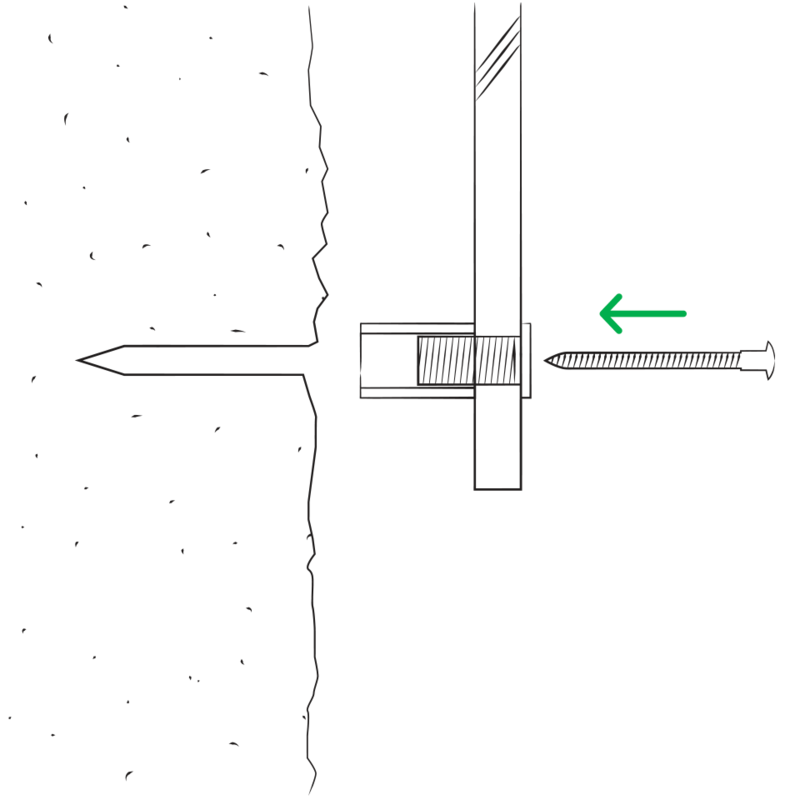 Conventional mounting systems use Allen screws for locking and are therefore complicated to assemble. 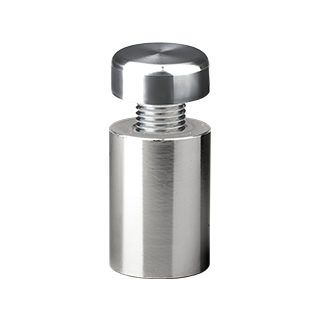 anuma offers a much simpler and more time-saving solution with the 3-piece anufix spacer systems. With the anufix standoff systems you can pre-assemble your signs with the spacers in your workshop. 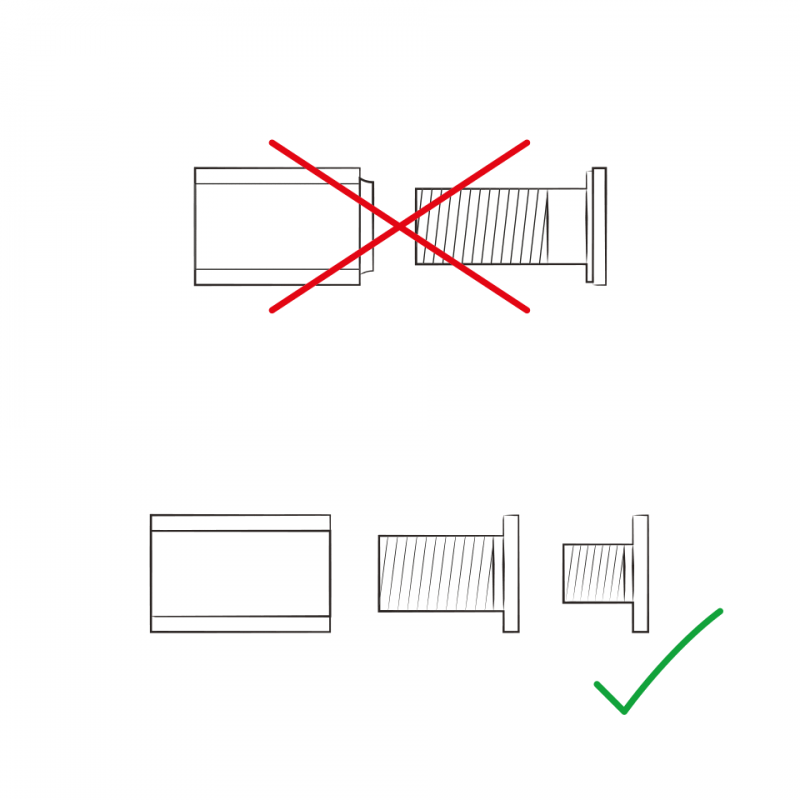 The spacer is simply screwed together with the body part. Required tools? - Your hands! 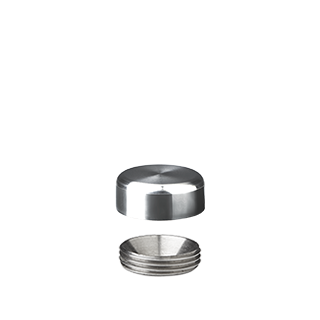 No minimum order quantities, no surcharge. Ordered by 11:00 am - dispatched the same day. The delivery time is only 24 hours for Austria, 48 hours for Germany. 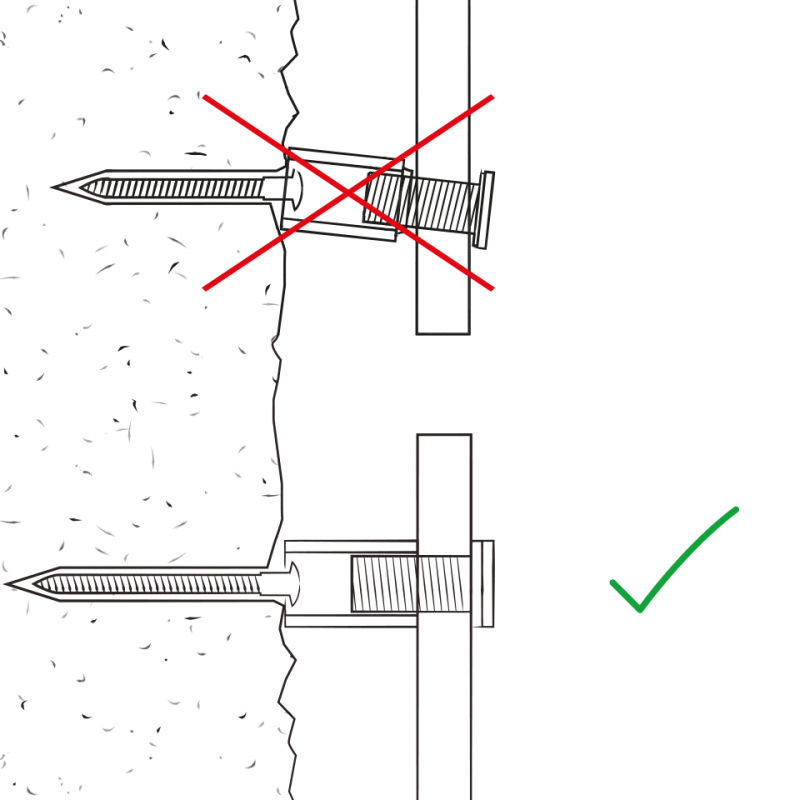 Allen screws are tiny and get lost easily. The fine threads do not give a firm hold and are quickly turned off. The mounting with hex wrenches is cumbersome and annoying due to the narrow distance to the wall. 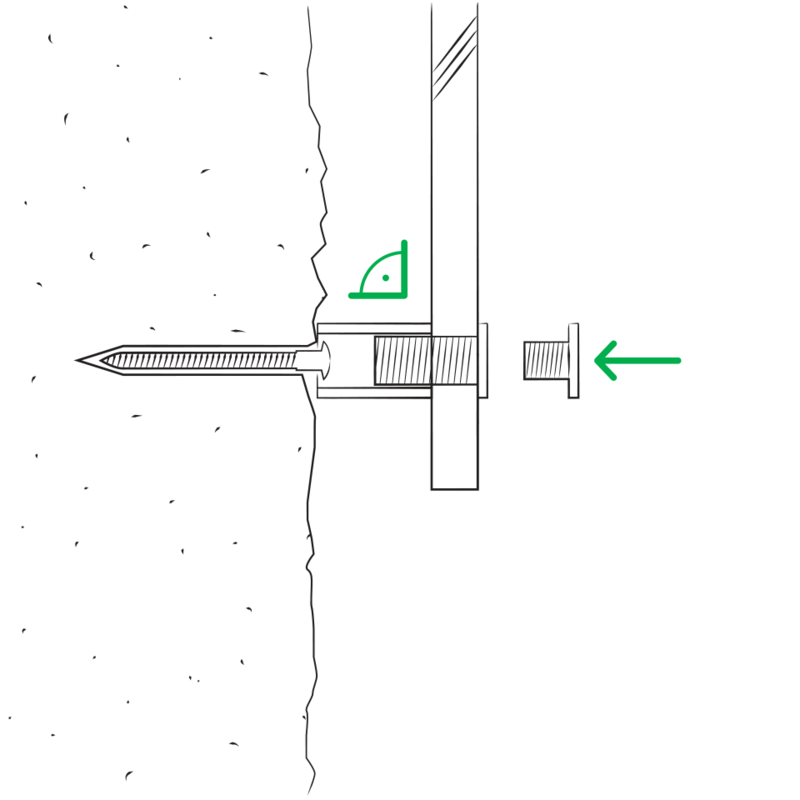 anufix spacers don't have Allen screws and can be easily installed with your bare hands. 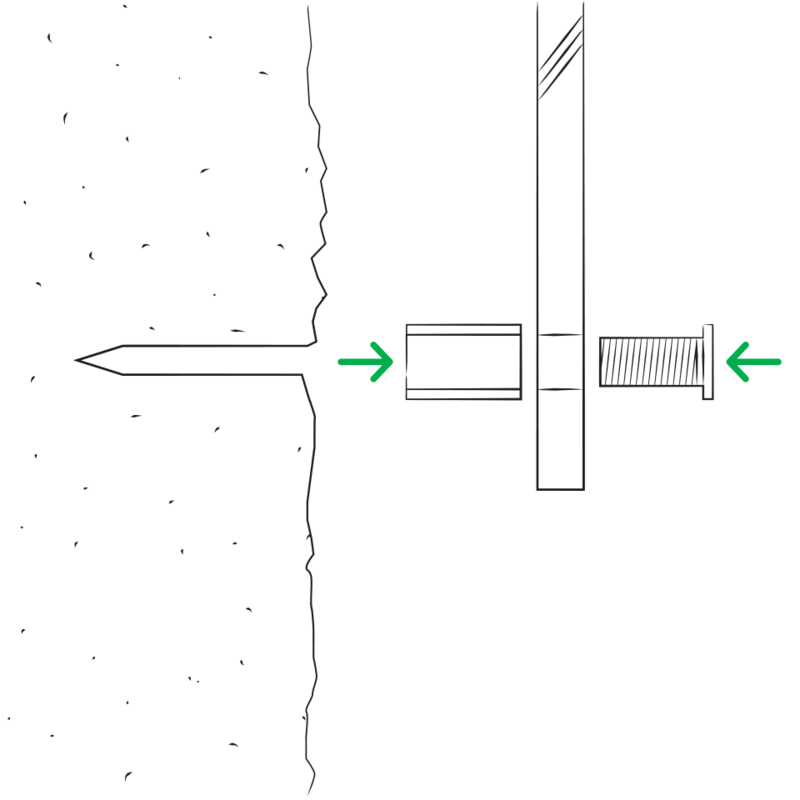 Conventional standoff systems consist of 2 pieces only, a head and a spacer. 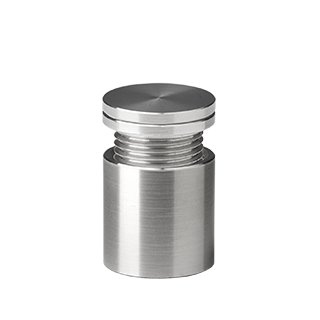 anufix spacers consist of 3 parts: head, body and distance piece. Even before wall mounting, the body and the distance pieces are screwed together to the sign. Then the pre-assembled sign can be easily attached to the wall. Finally the head piece is screwed in - all done. Always even – never askew again. Signs often have to be mounted on uneven walls. 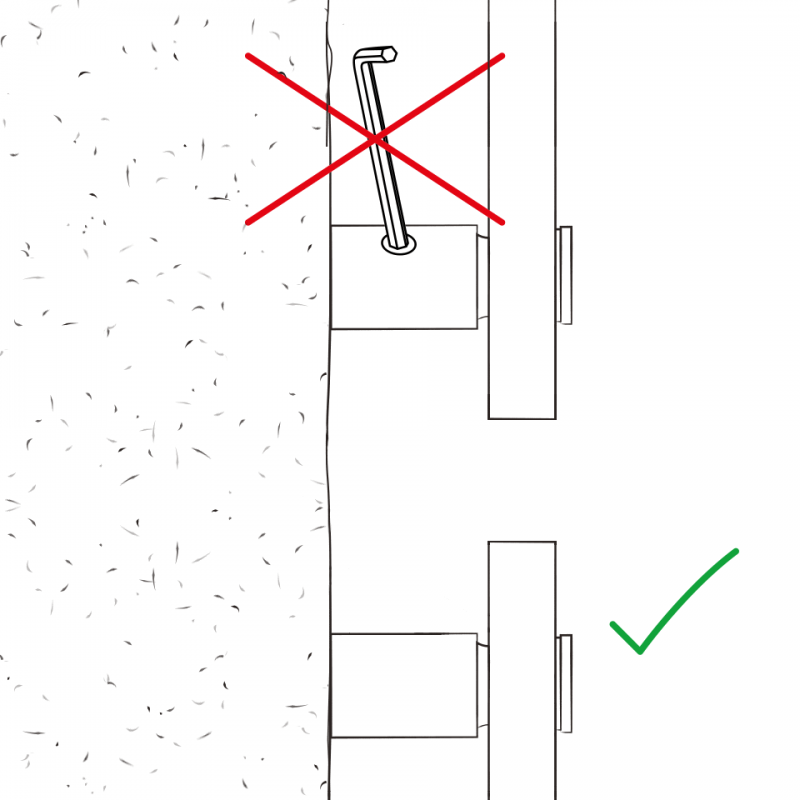 In the case of two-part systems, the distance pieces are always mounted on the wall and then all "sit" differently on the wall. This makes the sign assembly more difficult and disturbs the visual appearance of the sign. 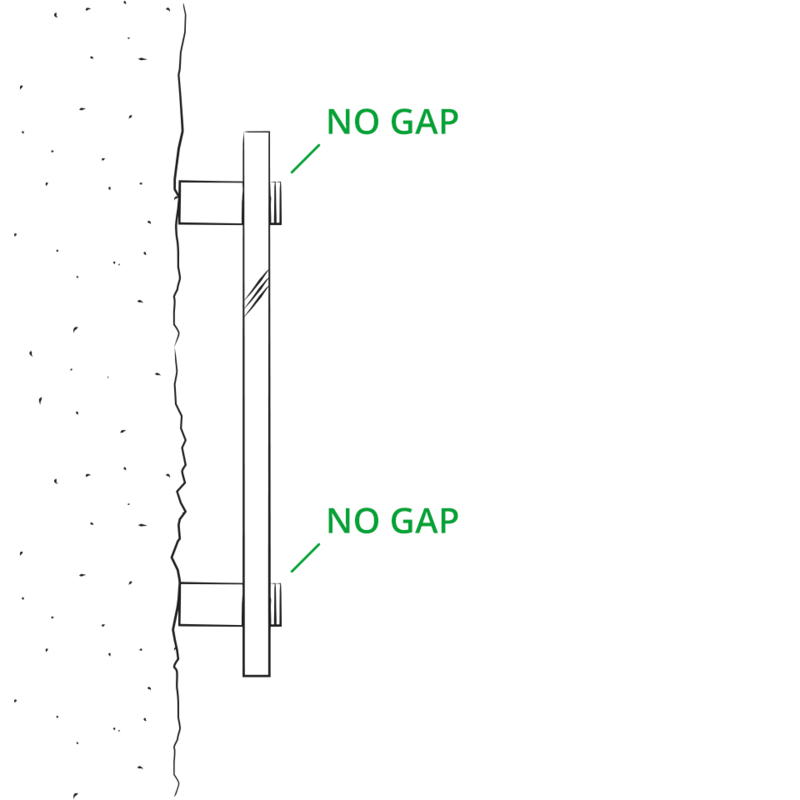 anufix standoff spacer systems are screwed together to the sign before wall mounting and are therefore always at right angles to sign and wall. Subscribe to the free anuma newsletter and ensure that you will no longer miss any of our offers or news.